Bitdefender and 5nine have joined forces to hit a `sweet spot’ in the Hyper-V virtualization market in a product that brings the world’s highest quality of protection to companies’ virtual environments while maintaining optimum performance. Bitdefender’s world-leading antimalware software is now incorporated as the default security solution in 5nine’s solutions for Hyper-V virtualization with 5nine Cloud Security and 5nine Manager with Antivirus . The cooperation brings together two leaders in their fields to offer Hyper-V users of all sizes protection from every vulnerability with optimized performance. The agreement with Bitdefender also allows 5nine clients to maximize performance with the industry’s quickest scan, which runs up to 70 times faster than other solutions by using the only antivirus and antimalware solution optimized for Hyper-V. To simplify licensing, customers also get their Bitdefender license directly through 5nine. Amid growing concerns of cyber-espionage and data theft, Perriman says Bitdefender has a brand and reputation that is well trusted among business customers worldwide. Enterprises, along with small and medium-sized businesses in the US, the UK, Russia, Germany and other leading markets have all expressed confidence in security provided by Bitdefender. 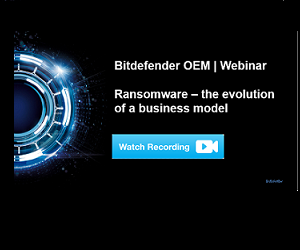 The ease of integration in the software development kit, attentive customer support and compatibility were among the other features that impressed 5nine in Bitdefender’s OEM solutions and services. Check out 5nine for more information about the company’s cutting-edge products and services. 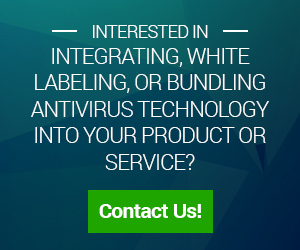 And contact us for more information on what security technologies you can integrate into your products – most importantly, why you should do it!